​We’ve all seen the words “complementary,” “alternative,” and “integrative,” but what do they really mean? This fact sheet looks into these terms to help you understand them better and gives you a brief picture of JA Health Advocate's mission and role in this area of research. Most people who use non-mainstream approaches use them along with conventional treatments. ​There are many definitions of “integrative” health care, but all involve bringing conventional and complementary approaches together in a coordinated way. The use of integrative approaches to health and wellness has grown within care settings across the world. 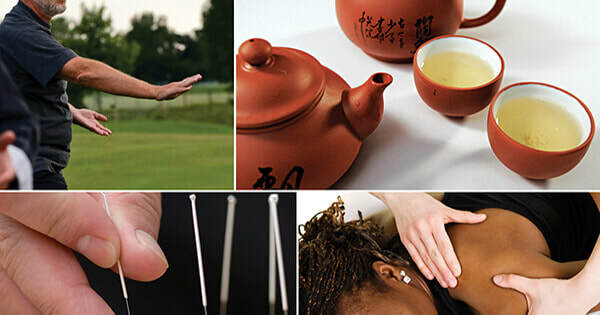 Researchers are currently exploring the potential benefits of integrative health in a variety of situations, including pain management for military personnel, relief of symptoms in cancer patients and survivors, and programs to promote healthy behaviors. ​So, What Terms Does JA Health Advocate Use? We generally uses the term “complementary health approaches” when we discuss practices and products of non-mainstream origin. We use “integrative health” when we talk about incorporating complementary approaches into mainstream health care. 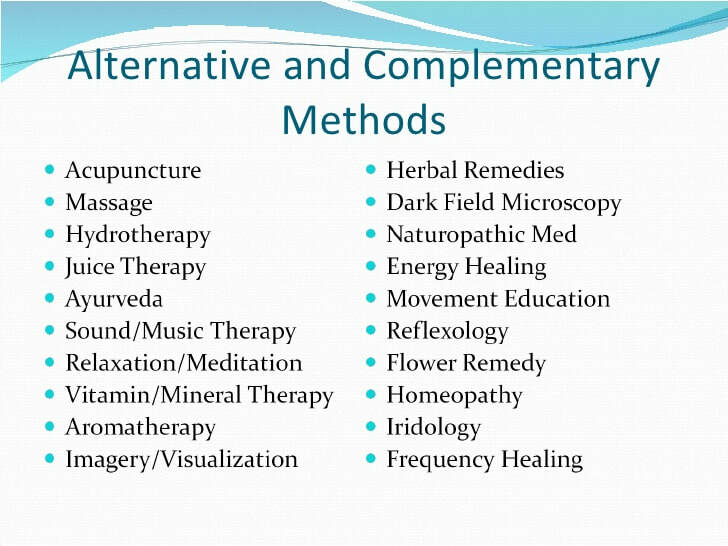 We use the term Alternative when we are referring to ONLY non-mainstream, western complimentary therapies. ​Researchers have done large, rigorous studies on a thousands of natural products, with the results often showing that the products work really well in the treatment of sometimes difficult illnesses such as cancer. Research remains is in progress to capture the potential of many other therapies that conventional medicine practitioners continues to turn their backs on. Mind and body practices include a large and diverse group of procedures or techniques administered or taught by a trained practitioner or teacher. Yoga, chiropractic and osteopathic manipulation, meditation, and massage therapy are among the most popular mind and body practices used by adults. The popularity of yoga has grown dramatically in recent years. The practices of traditional healers, Ayurvedic medicine, traditional Chinese medicine, homeopathy, and naturopathy. So, here at JA Health Advocate, we refer to those healing practices as truly Alternative. The objective here is to define, through the help of rigorous, truly independent, scientific investigation, the usefulness and safety of Complementary, Integrative, and Alternative Health interventions and their roles in improving health and health care. People need to know that there are BETTER options to the usual Western fare.